According to a note posted on the door of the establishment, the restaurant closed permanently on Oct. 1. 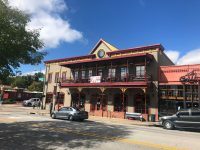 After 14 years, Hog Haus restaurant and brew pub, located at 430 W. Dickson Street, will close for good at the end of October. 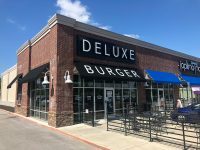 The last Deluxe Burger restaurant of its kind is now closed. If you’ve been wishing there were more places in Fayetteville to hang out, have some food, and kick it with your dog, your wish is about to come true. 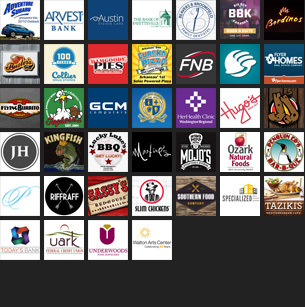 Here’s what we know about restaurants that have opened, closed, or plan to open soon in Fayetteville. 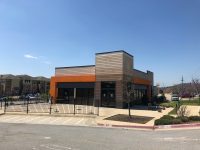 The restaurant this week opened their first location on the south side of Fayetteville, with a brand new store at 1855 M.L.K. Jr. Boulevard. The new restaurant will be located on Mission Boulevard just to the west of the Crossover intersection. 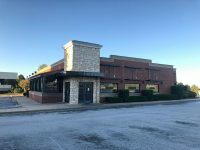 A new breakfast restaurant is coming soon to Fayetteville. 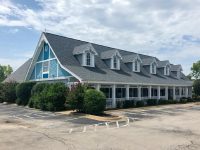 A Branson-based promotor, author, and contractor is planning to open a diner, steakhouse, and entertainment venue on College Avenue this fall. A local food truck is expanding to open a location outside Fossil Cove brewery in Fayetteville. Russellville-based CJ’s Butcher Boy Burgers will open a location at 3484 W. Wedington Drive. 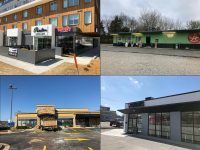 It’s been a little slow lately in the restaurant news department, but we did find a handful of places that have opened up shop, or plan to open soon in Fayetteville. 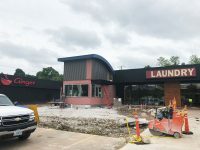 A new manufactured building has been installed at 1195 Martin Luther King Jr. Boulevard in Fayetteville next to Ginger Rice and Noodle Bar, and signs recently appeared in front of the building indicating it will be a Seven Brew Coffee Shop. Get hungry, Fayetteville. It’s time for another installment of restaurant news. 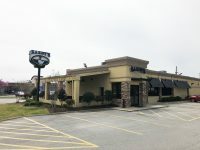 Georgia-based chicken restaurant chain Zaxby’s closed their location at 3251 N College Ave. over the weekend. Remodeling of the location will begin soon. 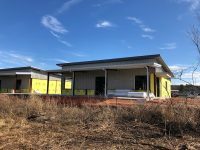 If all goes well, the new restaurant will be open in late summer/early fall. 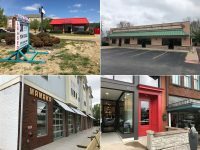 Here’s what we know about some places that have opened, closed, or that plan to soon open in Fayetteville. 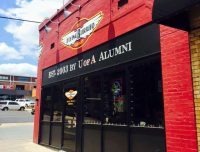 Local restaurant Flying Burrito Co. today announced they have closed their flagship downtown location after more than 15 years. A new brunch and pizza bar is coming to Fayetteville this spring. 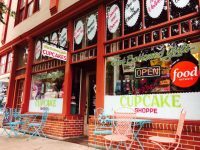 Hot Springs-based dessert restaurant Fat Bottomed Girl’s Cupcake Shoppe will soon be opening a location on the street.